Following a year of venue closures and corporate buyouts, Mezzanine is the latest San Francisco nightclub to take a hit in 2018. 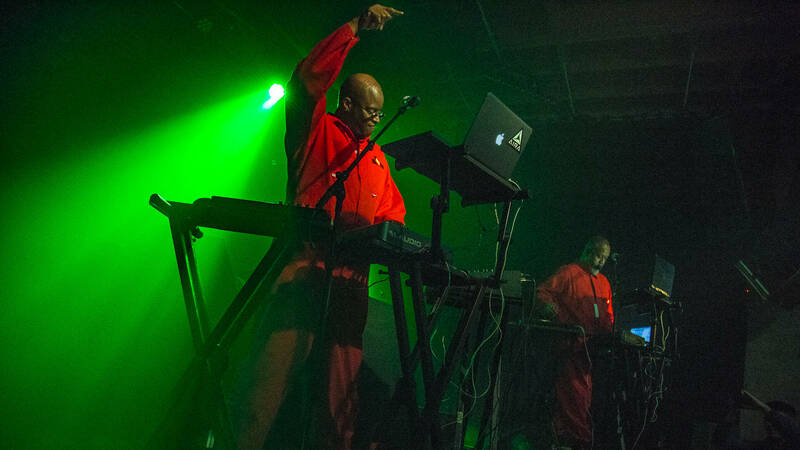 The popular venue, which has operated in SoMa since 2003 and hosted high-caliber acts like Snoop Dogg and Lady Gaga, announced on Tuesday that it will shutter in October 2019. According to its press release, the building's owners refused to renew the club's lease, and are working with Colton Commercial & Partners to convert the property into commercial office space with rents reflecting a 600-percent increase. Mezzanine is the largest woman-owned club in San Francisco. Quoted in the press release, owner Deborah Jackman said that the building's owners turned down a request for the venue to stay open through the end of 2019 to finish out its year of programming. "What I find most disturbing is that Mezzanine, like so many other cultural institutions, has fallen victim to corporate greed and commercial development," she said. "Basically, this building has been in my family since 1978 and their rent hasn’t changed in 20 years," said David Chritton, who co-owns the Jessie Street property with Todd and Scott Chritton. "Basically, they can't afford to be here at this site. They're not making what this site should be. It's just economics." Chritton declined to comment further on the claims in the Mezzanine press release. Mezzanine, which has an all-woman talent buying team with a focus on electronic music and hip-hop, joins a growing list of long-running independent San Francisco music venues that have shuttered or ceded to corporate control this year. Counterculture mainstay the Hemlock Tavern closed in October after accepting a buyout from Dolmen Property Group, which plans to convert its Polk Street building into a 54-unit commercial/residential property and open a new Hemlock unaffiliated with the original. Promotions giant Goldenvoice, which books the Regency Ballroom and the Warfield in San Francisco as well as popular festivals like Coachella and FYF, recently took control of booking at Great American Music Hall and Slim's, which were previously locally booked and independent. And the Elbo Room, another independently booked venue in the Mission District, will shutter in January 2019 after 30 years. Its building is on the market. When reached by phone, Mezzanine marketing director Chris Sanders said that, so far, Jackman doesn't have plans to relocate the venue and is focused on what's left of its programming, which includes electronic music acts like R3HAB and Lost Kings, a New Year's Eve party with the Knocks and a "Sweet 16" anniversary party in April 2019. In 2009, Mezzanine hosted Lady Gaga's first club appearance in San Francisco. The club often partnered with local promoters, like comedy festival Sketchfest (which brought Maya Rudolph's Prince tribute to the club several years in a row.) LCD Soundsystem, Mos Def, the Chemical Brothers, Autechre, Thievery Corporation and thousands of others have played at the club over the years.